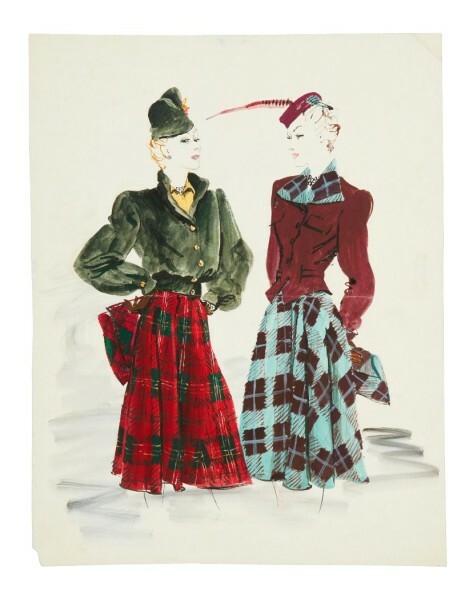 American Vogue p.38 - 1er Aout 1939, "Plaid tweed skirt, dyed moleskin jacket, moleskin hat, Lewis bag from Saks-Fifth Avenue. Tweed coat with solid colour top and plaid revers, plaid skirt - actually all one piece. Bergdorf Goodman."